It has been so long since I have visited Philadelphia for fun that I felt completely out of touch with the food scene. It became painfully evident as I was trying to figure out where to eat on a trip in early November. 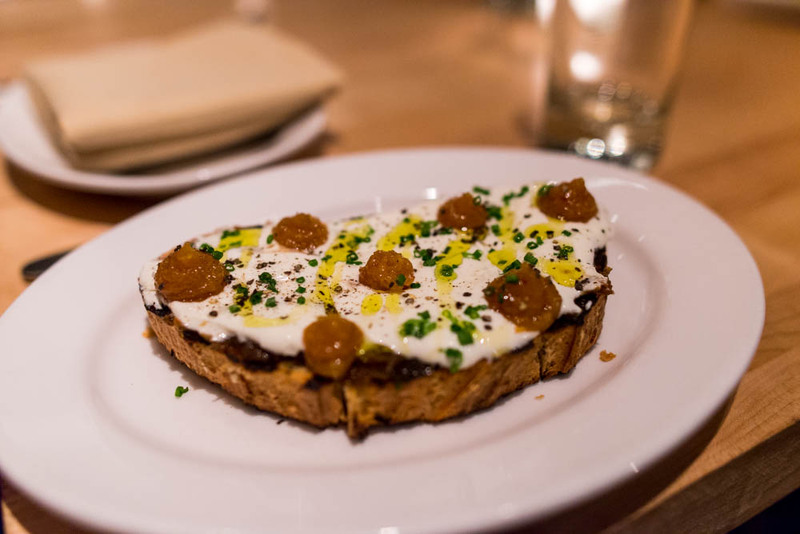 Thanks to guidance from a colleague who might be even more food obsessed than I am, especially when it comes to Philadelphia dining scene, I was able to narrow down my must-try spots. Even still, it took some difficult decisions which included cutting one of my old favorite haunts, Monk’s but I think in the end, we were pretty happy with the final itinerary. The trip started with an early dinner at Vernick Food & Drink. It was so hard to find a decent dinner time at this popular New American spot even a few weeks ahead of time that we gave in and took the 5.45PM seating in stride, eating as light as possible for lunch on the way down from New York. 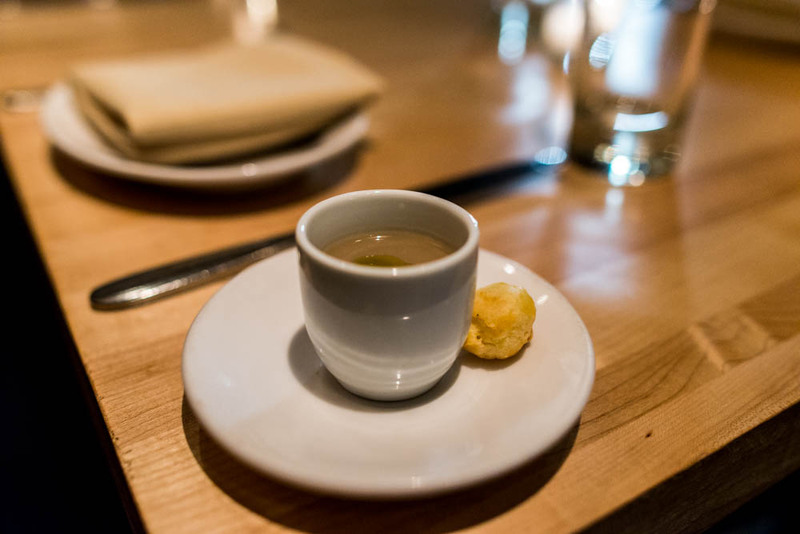 We started dinner with a light amuse bouche of mushroom bisque and a tiny thimble like cheese gougere. 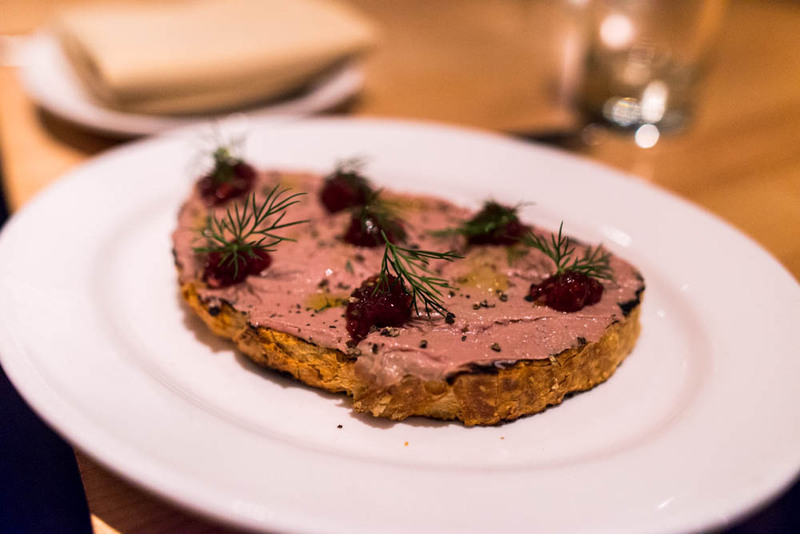 We had a hard time choosing from the seasonal menu, organized into toasts, raw, vegetables, small plates, large plates and from the wood fire oven. Our waitress was extremely patient and entertained our numerous questions and we were more than happy to have her opinion and guidance. To begin, we went with two plates from the toasts section. The first was a delightfully smooth chicken liver with sweet onion jam. The balance between the sweet jam and the deep savory chicken liver was just perfect. The second toast we shared was a fromage blanc with meyer lemon chutney. I didn’t think that it was possible to have something lighter than the chicken liver but the fromage blanc toast achieved an even lighter refreshing state, with a hint of tartness from the chutney. AH loves beets so the marinated beet salad was an obvious choice. 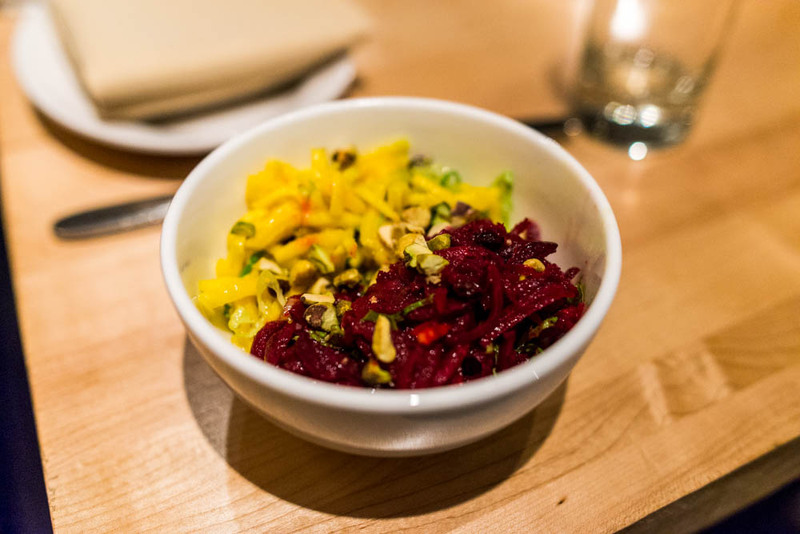 Golden and red beets were shaved raw and tossed with pistachio, candied ginger and a refreshing champagne vinaigrette. A little bit of lettuce for crunch and some currants for additional sweetness to the zing of the ginger and the earthiness of the beets. 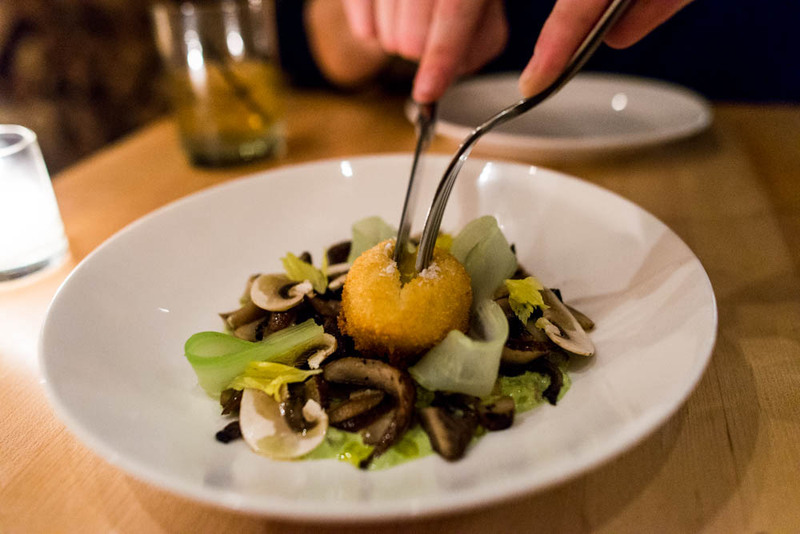 Flavors at Vernick are both subtle and complex, the two characteristics complimenting each other. At our waitress’ suggestion, we went with the mushroom salad. It sounded so simple on the menu that we weren’t quite sure what to expect. What arrived at our table was a wonderfully light yet delightful treatment of four types of mushrooms, the shiitake pickled in rice vinegar, the beech sliced thin and raw, and the king and trumpet roasted. 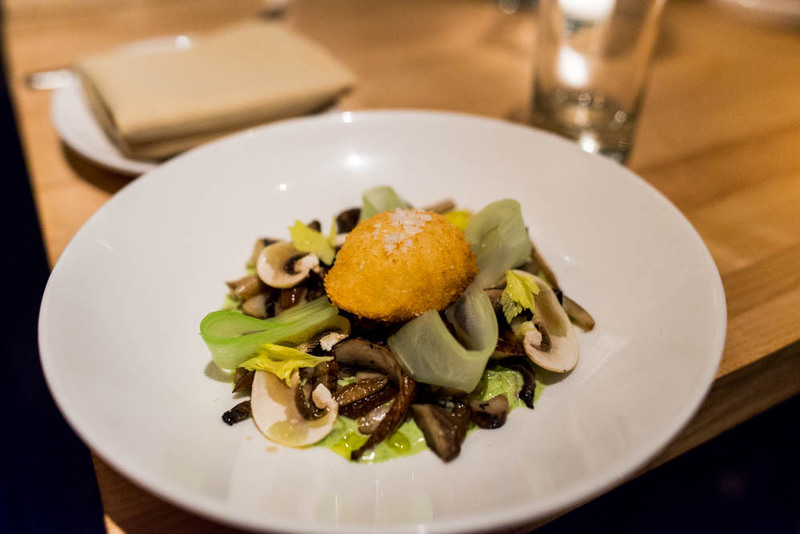 Shaved celery and a panko crusted soft cooked egg with an Anaheim chili vinaigrette completed the dish. We almost overlooked this dish based on the simple description so it definitely made us appreciate having a knowledgeable and persuasive waitress. 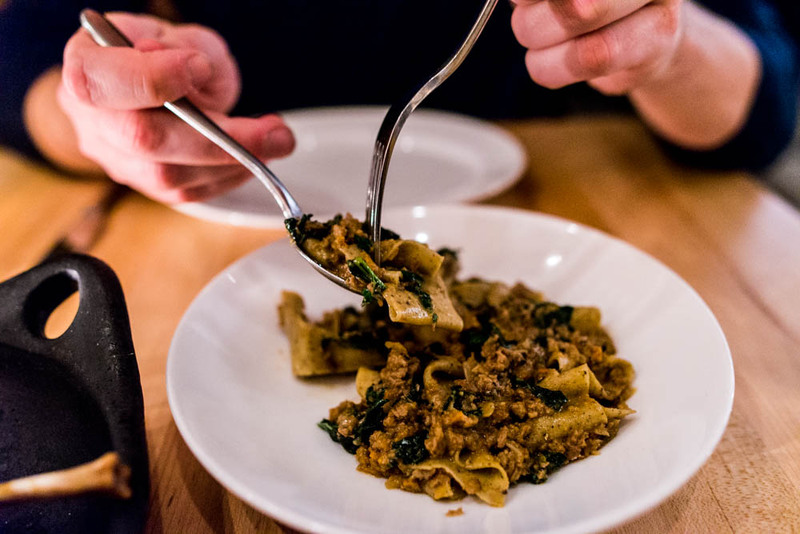 For our entrees, we went with the wild boar ragu served with a housemade black pepper pappardelle. The rich ragu, hearty and not at all gamey, clung to the wide ribbons of soft pappardelle. I would have been extremely happy with a bowl of the pasta and a glass of red wine for dinner in front of a cozy fire. 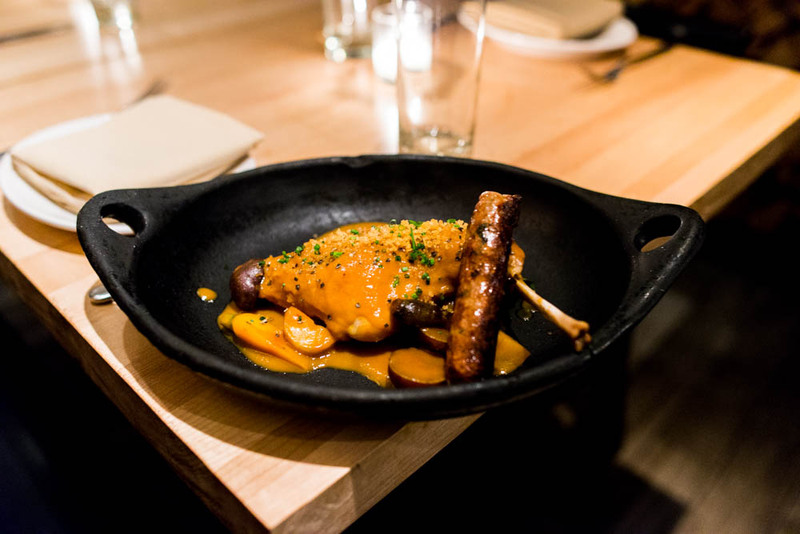 For our last plate, the braised rabbit leg and sausage caught our attention. An appropriately Fall dish, the leg was tender and the sausage juicy, a great duo of rabbit on display. Our meal at Vernick ended with a few pieces of housemade peanut brittle. 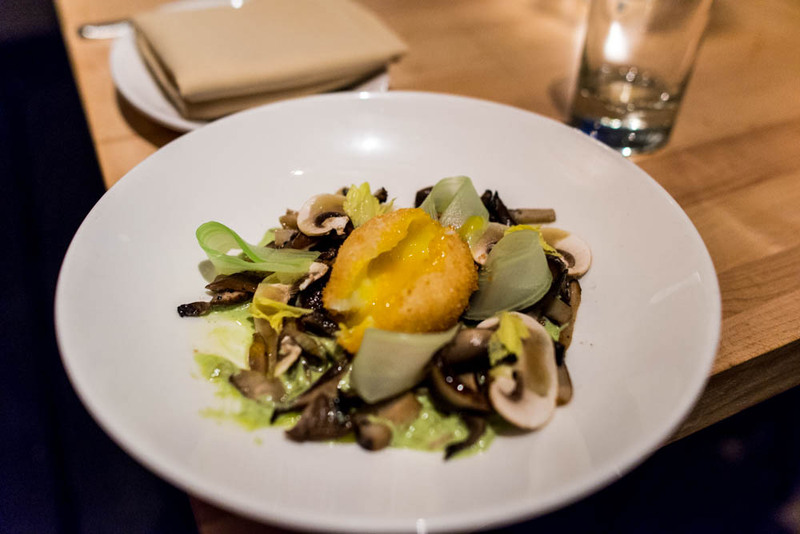 Delightfully simple yet elegant, the New American dishes at Vernick was certainly a fantastic way to kick off our culinary journey in Philadelphia.